The occupation forces have their special way to bring you a letter, or rather to convey a message. On Wednesday, August 20, they deployed some 50 soldiers, in full combat gear, to bring a small piece of paper to Khalida Jarrar, Palestinian MP from the Popular Front for the Liberation of Palestine (PFLP), in her home in Ramallah. The time was also carefully chosen, 01:30 at night, in the best military tradition of terrorizing the occupied population. According to the tradition of occupation theatre, the commanding officer introduced himself as “Captain Yahya” and handed Khalida an order in Hebrew, which she doesn’t read. But if the Israeli occupiers are short on Arabic office skills, they were generous to offer a translation on the spot. They told Khalida she must leave her house, her family and work in Ramallah within 24 hours and be confined to the Jericho district for six months. 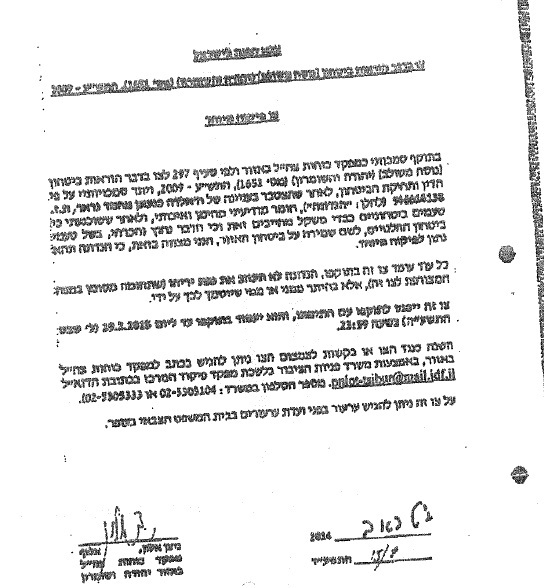 The order itself, based on unspecified “intelligence information”, is directed specifically at Khalida, claiming that her deportation is necessary for “maintaining the security of the region”. But the military order is a blatant message to the Palestinian people and the world as a whole: The occupation is here, everywhere in Palestine, disregarding any agreements or laws, local or international. Khalida refused to sign the decree. She declared that she will not obey the illegal order and instead said that “it is the occupation that must leave our homeland.” On the next day, October 21, she started a protest tent in the Palestinian Legislative Council (PLC) – the Palestinian Parliament, to which she was elected in 2006. Instead of disappearing quietly from the scene, as the occupiers wished her to do, she poses a challenge to the occupation and to the façade of Palestinian semi-independence under the occupation. If they want to get her and throw her to Jericho, the occupiers now should come and break with their military boots the gates of the PLC, demonstrating graphically what the real meaning of their order is. In this protest tent there is always a gathering of supporters. Delegations come to visit and convey their condemnation of the deportation order. Yesterday, Monday August 25, I was there with a small group of activists from Haifa and the Galilee. At 13:00, some 150 people from different NGOS and Palestinian movements held a vigil in front of the UN Ramallah headquarters and conveyed a petition from the PLC and many other organizations calling on Ban Ki-Moon and the UN to intervene. The PLC was never allowed to really take sovereignty of any area, as Israel continues its brutal occupation and its effort to drive out the Palestinians from all of their land through settlements and ethnic cleansing. Actually the siege of Gaza is the occupation’s response to the 2006 elections to the PLC, when the most democratic vote in Palestinian history produced a Hamas majority, in an expression of popular rejection of the Oslo agreement, security coordination with the occupation and the corruption of the PA under Abbas. The PLC is not even allowed to function as a toothless discussion forum – its members in Gaza are locked up by the siege, like the rest of the Gaza population, and thus prevented from attending meetings. About half Palestinian MPS in the West Bank are held in Israeli prisons, most of them without any charge. In this sorrow state of the Palestinian Parliament, Khalida was trusted with what may be considered the most important parliamentary institution: She’s the head of the PLC’s prisoners’ committee. This trust is one expression of the position she holds in Palestinian public life, recognition of her persistent activity and dedication to Human Rights and a result of the good relations that she keeps with all the Palestinian factions. In the hot afternoon the stream of visitors and delegations became thinner and Khalida found some time to give a special interview for Free Haifa. She told again the story of Wednesday night… When asked by “Captain Yahya” what her response to the order was, she stressed that it is just another example of the criminal activities of the occupation against her people, nothing in comparison to the on-going massacre of the people of Gaza. She is proud of the wide solidarity she receives since the news came out about the order against her. There were solidarity delegations from all the Palestinian movements. The PLC issued a special declaration, like many other organizations. There were many solidarity messages from parliamentarians, Human Rights and Palestinian solidarity activists from around the world. She said that the Palestinian Prime Minister, the head of the new National Unity government, Rami Hamdallah, called to express solidarity. But, no, she is not aware of any official position regarding her case from the presidency or from the Palestinian government. It is significant that she is being deported from Ramallah, which is classified under the Oslo agreement as region “A”, where the full responsibility for security is supposed to lie in the hands of the Palestinian Authority (PA), to Jericho, which is also “A”. How comes the Israeli occupation forces deport her for “the security of the region”? It is all part of the new period where the occupation likes to show how it is getting crazy and throws away all restraints. 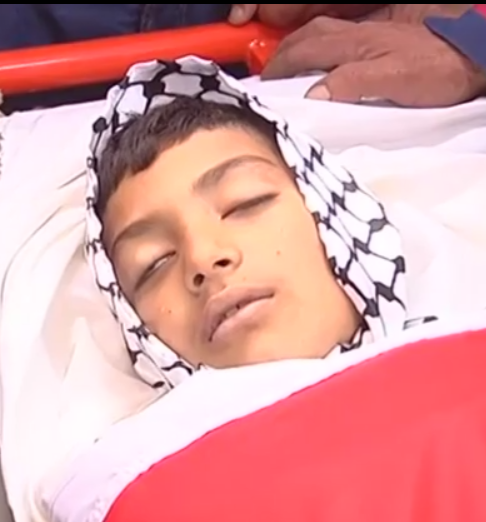 We see it in Gaza where the killing of civilians is not only by-effect but the main goal of Israel in its war. We see it in Jerusalem where the occupation systematically drags small kids from their beds at night to fill its detention camps. We see it in the “Dakhel” (the Palestinian territories occupied since 1948) where more than a thousand demonstrators were arrested in the latest protests against the massacre in Gaza. Speaking more generally about the current confrontation in Gaza, it proves the strength of the resistance in the face of the most massive and cruel attacks. The continuing resistance and the support of the resistance from the people in spite of the heavy sacrifices show the determination of the Palestinian people and give new hope that they will one day be able to live free on their land. In the end she had a special message to international public opinion. The occupation doesn’t respect any law and doesn’t stop at any crime and violation of the basic rights of the Palestinian people. The failure to bring the occupation to account opens the way to more crimes and bloodshed. Today the Palestinian people feel that the international law doesn’t protect them. It is high time that the people of the world will act to protect the Palestinian people against this criminal occupation. I ask Addameer more about the legal details… There was the precedent of the 3 Palestinian parliamentarians from Al-Quds (Jerusalem) who were denied residency and forcefully deported to Ramallah… But the issue of Ethnic Cleansing of Palestinians from Al-Quds is different and goes by another set of laws. By the way, they are all in prison now. But the “special supervision order” against Khalida seems to be very special indeed, or maybe another dangerous precedent. I recall how similar orders were issued against the leaders of “Al-Ard Movement” in the sixties. Some of them were confined to remote, wholly Jewish, towns like Safad and Arad. Others were arrested and the movement was successfully suppressed. The occupation is still the same, but the Palestinian struggle made a long way since. The voice of Khalida Jarrar will not be silenced. See Addameer site for more legal details and a call for action. You are invited to sight a petition in support of Khalida. 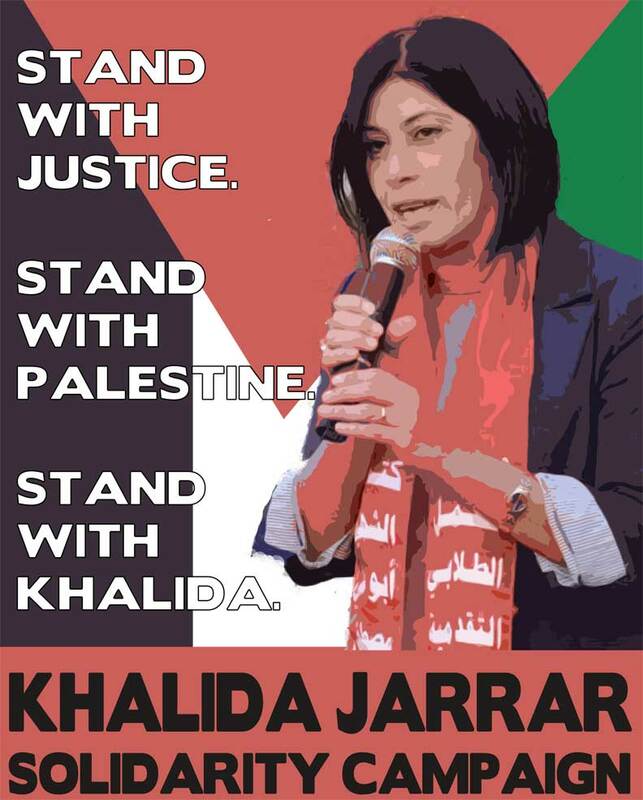 Today the Khalida Jarrar solidarity campaign published a declaration of victory! After a month in which she was protesting the deportation order from the solidarity tent at the PLC, the occupation “shortened” the duration of the deportation to one month, which has already expired, without Khalida ever leaving Ramallah or going to Jeriho. It is a great victory for Brave Khalida, for all those that supported her in the struggle and for the concept of popular resistance.